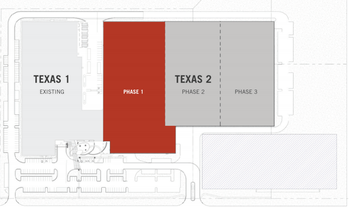 Texas-based colocation provider Data Foundry has opened its fifth data center, Texas 2, in Austin. Built adjacent to Texas 1 on Data Foundry’s 43.5-acre ‘Data Ranch’ campus, the facility spans 325,000 square feet (30,190 sq m), of which 165,000 square feet (15,200 sq m) is raised floor space. The facility has 36MW of power supply and is capable of serving high performance computing (HPC) customers, supporting power densities of up to 50kW per rack. The site features 750 kVA Toshiba UPS systems, back-up generators from Cummins and 40,000 gallons of underground fuel storage, in case of energy supply issues. 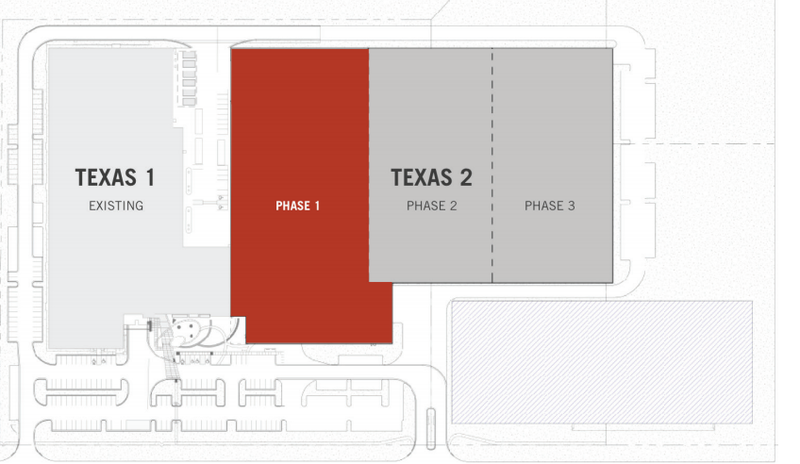 The Texas 2 facility was originally revealed in planning documents in 2016, with the application estimating the cost of the data center at around $40 million. In a 2018 specifications document, further expansion is shown as being considered in two more phases (see image above).